To initiate a divorce, you may complete a petition for dissolution of marriage, file it with the court and provide a copy to your spouse through service of process. The person who files the petition for divorce is the petitioner and the person who responds to the petition is the respondent. If your spouse initiates the divorce and serves you with divorce papers, you must file an answer with the Florida court within 20 days. Failure to respond to the divorce papers within the legal time frame means the divorce may proceed without your participation. For each petition, motion or pleading you file, you typically must serve a copy on the other party. If you are unable to pay filing fees, you can file an application for civil indigent status. Florida has certain mandatory disclosures for both parties to a divorce. Each spouse completes a financial affidavit and includes detailed financial information, including employment income, rental income, marital assets, outstanding loans, credit card debts and household expenses. The court often requires each spouse to provide the other with a copy of financial records prior to trial. If you and your spouse disagree on the value of resources or extent of debt, the judge may request your financial records to resolve disputes and ensure proper distribution of marital property. After you file your petition for divorce, you and your spouse request and share information with each other through the discovery process. Discovery involves an exchange of information and evidence required to proceed with the divorce and resolve any issues in dispute. After the discovery process, the judge may order you and your spouse to attend mediation to attempt to negotiate a settlement agreement. If you and your spouse fail to reach a marital settlement agreement that resolves all your marital issues, such as property distribution, child custody, child support and spousal support, your case proceeds to trial. Before your trial date, the judge typically schedules a case management conference. At the case management conference, the judge meets with both spouses, checks the progress on any marital settlement agreement and assesses the status of your case, without ruling on any issues. After the case management conference, the judge typically schedules a pretrial hearing. During the pretrial hearing, the judge assesses the progress you and your spouse have made in reaching a martial settlement agreement. If you have resolved most but not all matters, the judge may order you to return to mediation and work out the remaining issues. If you cannot agree on any major issues, your case proceeds to trial as scheduled. At trial, you and your spouse each present your requests to the court and provide evidence to support your requests. You must follow the Florida rules of civil procedure and address the court in a professional manner. 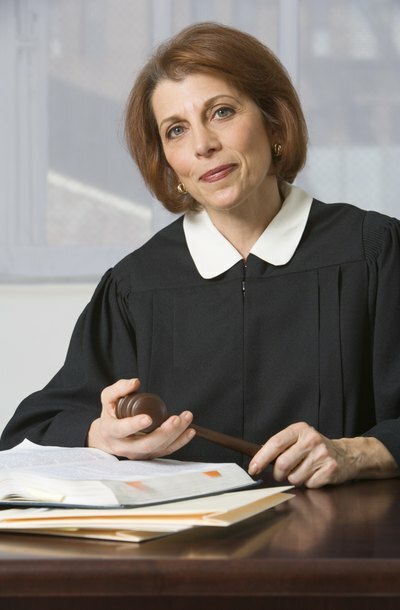 Court staff cannot advise you on how to testify, present evidence or draft legal documents.